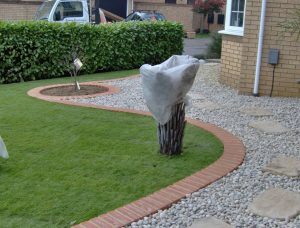 Lowton Landscapes is a family run business based in Hoddesdon, Hertfordshire: with over 20 years experience in both hard and soft landscaping. Having completed training at both Capel Manor and Oaklands College. Our client base is mainly private customers but we have provided services for small companies and local management companies. We are proud that a lot of our work comes from recommendations and returning clients; all within the surrounding areas. 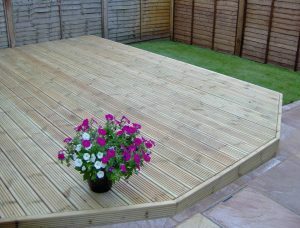 All our landscape works are carried out to free written quotations. Lowton Landscapes is fully insured and we hold a waste licence with all waste being disposed of at registered waste sites. Our aim is to work with our clients to give them the best option for their landscape requirements; talking to them at all points of the process to ensure that they are happy and understand how things are progressing. It seems to be working as clients have moved home and our landscape services have moved with them. If you wish us to contact you regarding quotations for work please email info@lowtonlandscapes.com or complete the contact form on this site: alternatively you can call Trevor direct on his mobile 07977 803008 or 01992 470521. You can see examples of our previous work in the gallery (coming shortly) which shows various types of fencing and wooden structures; paving and patio materials and decorative finishing’s.